On May 24, 2018, President Trump presented the Medal of Honor, the nation’s highest award for valor, to Master Chief Special Warfare Operator Britt Slabinski for embodying the U.S. military’s code of “leave no man behind.” The “Battle of Robert’s Ridge” claimed the lives of seven U.S. elite troops and was one of the bloodiest engagements for Special Forces up to that point in the post-9/11 Global War On Terror. 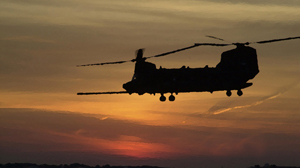 Britt Slabinski sat on the back ramp of a MH-47 Chinook helicopter in the early morning dark. Propellers whirled overhead and the rivets dug into the Senior Chief Petty Officer’s backside as he tried to make a decision that would test the judgment of Solomon. The young SEAL Team leader had already been ambushed by Al Qaeda fighters that night and lost a man on a barren mountaintop in the Hindu Kush. Later, his team survived a controlled helicopter crash in enemy territory. And it was still hours before sunrise. The lives of his men and the fate of a mission that had gone awry nearly from the start hung on his next decision. Slabinski studied his notebook and tried to bring order to a tactical situation that was stacked against him, and promised tragedy from every angle. 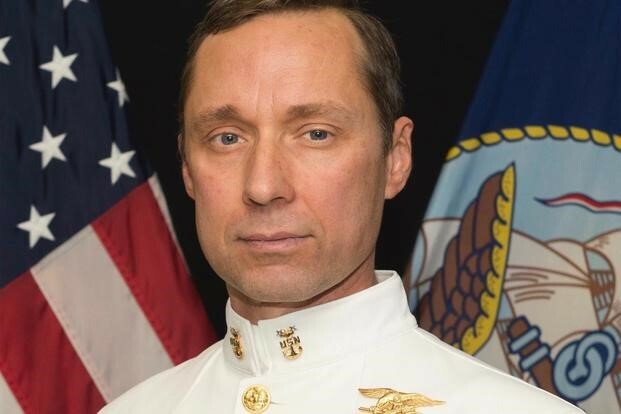 Surveillance indicated that the SEAL teammate who earlier had been knocked from a helicopter into a hot landing zone held by the enemy – Petty Officer First Class Neil Roberts – was still alive. 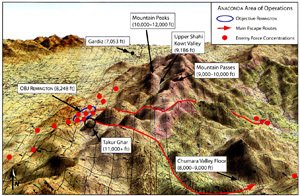 Slabinski had also learned the hard way that the Al Qaeda force dug in atop the 11,000-foot peak called Takur Gar had his small team badly outnumbered and outgunned. At that altitude the battlespace was frigid and blanketed by deep snow. To reach Roberts they would almost certainly have to fight uphill. Slabinski could wait until a Quick Reaction Force of Army Rangers arrived to help even the odds, but he doubted that Neil Roberts had that much time. On the other hand, Slabinski was responsible for all of the commandoes in his SEAL Team, as well as for the Army pilots who would have to fly them back up a mountain where earlier they had been shot from the sky. At a White House ceremony on May 24, 2018, President Trump presented the Medal of Honor, the nation’s highest award for valor, to Master Chief Special Warfare Operator Britt Slabinski for embodying the U.S. military’s code of “leave no man behind.” The events of March 4, 2002 would become known as the “Battle of Robert’s Ridge,” for Neil Roberts. It claimed the lives of seven U.S. elite troops and was one of the bloodiest engagements for Special Forces up to that point in the post-9/11 Global War On Terror. There have been media reports that another member of Slabinski’s Team – Air Force TSgt. 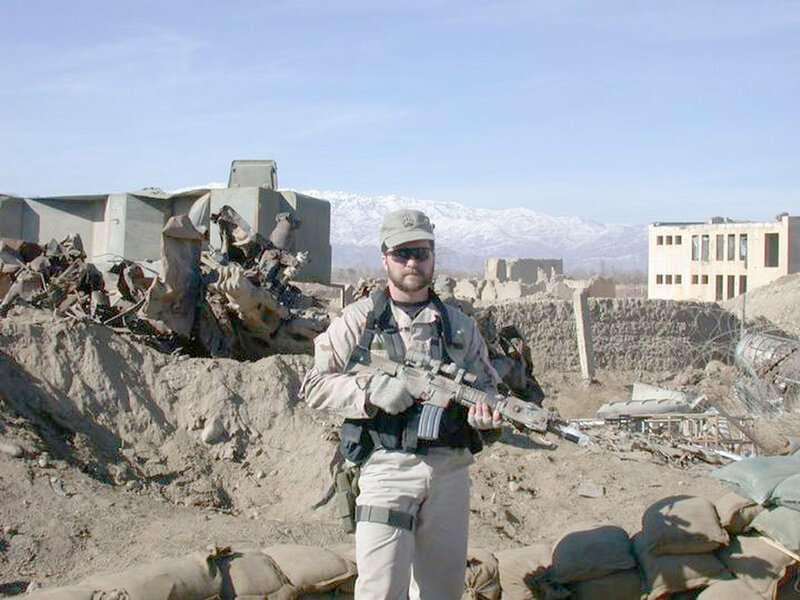 John Chapman, a combat controller – has also been recommended for and will receive the Medal of Honor. If the reports prove true, it will be only the third time in the post-9/11 era that two Medals of Honor are awarded for the same action. Not altogether coincidentally, the award recommendations coming 16 years after the battle have rekindled controversies among the service “tribes” within the Special Forces community about what exactly happened on Robert’s Ridge, and who was the most deserving of recognition. The battleground atop Takur Gar hours after the fight with Al Qaeda forces. As the twin-rotor MH-47 carrying Slabinski’s team touched down on the snow covered mountain it was once again raked by machinegun fire. The first out the back ramp, Slabinski tumbled head first in the deep snow, his night-vision goggles smashing into his face and splitting his nose. By the time he got up, the other members of his team were moving to their assigned positions and taking fire from multiple bunkers and directions – a classic kill zone. Twice Slabinski tried and failed to take out the nearby machine gun bunker with a grenade. On a third attempt his SEAL Team M-60 machine gunner “Brett” poured enfilading fire into the bunker as cover, and Slabinski and another SEAL tried to flank it from the left. Before they could reach it the Al Qaeda fighter in the bunker threw a grenade. There was an explosion, and then silence from the M-60 machine gun, followed by shouts from behind the rock that Brett too was wounded. Slabinski decided to relocate his team beyond a drop off on the slope of the mountain that could offer better cover, and from there to call in air support on the enemy positions. After he gave the order and his commandoes began gathering the wounded, he crawled over to John Chapman, who still lay where he initially fell. As the SEAL Team retreated down the mountain another member was hit by a machine gun bullet that nearly took off his leg, which he would later lose. His teammates dragged him to cover through the snow. As they were regrouping, an MH-47 Chinook carrying the Quick Reaction Force of Army Rangers banked sharply right over their heads. Slabinksi frantically tried to wave them off. As the Rangers scrambled out of the downed helicopter into the Al Qaeda ambush zone, four were killed and others were wounded. In all seven U.S. service members were killed in action on Robert’s Ridge. They included Neil Roberts himself, who was executed by Al Qaeda fighters even before Slabinski’s team made it back up the mountain. The controversy surrounding the Battle of Robert’s Ridge concerns the fate of Air Force combat controller John Chapman. 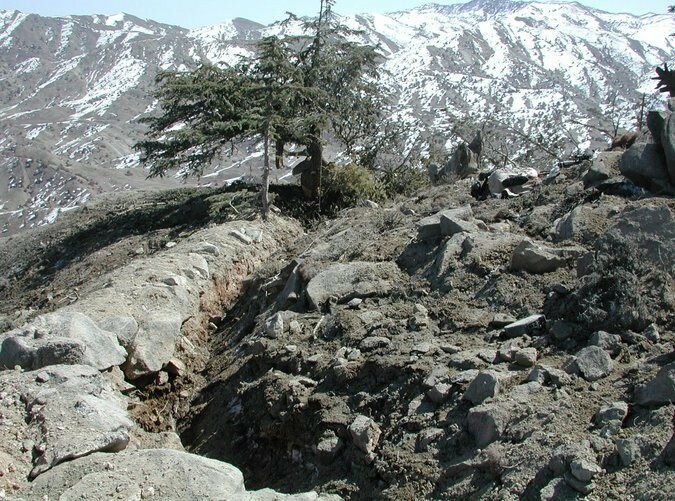 A later investigation of the battle by Joint Special Operations Command unearthed video footage from a Predator drone that captured continued fighting on Takur Ghar’s peak even after Slabinski’s SEAL Team had retreated, and before the Quick Reaction Force helicopter was shot down. An analysis of a classified video made by the Air Force to bolster its recommendation of a Medal of Honor for Chapman, purportedly shows Chapman’s body lying motionless in the bunker for 12 minutes, and then sustained movement as someone – presumably Chapman – in the bunker moves around firing his weapon in multiple directions for an hour. Newsweek’s exhaustive investigation of the Chapman controversy can be found here. Britt Slabinski and John Chapman had been tent mates in Afghanistan, and they kept a running game of chess going in their quarters that they never managed to complete in a hectic war zone. Soon the two friends may have more in common than an unfinished game of chess. On May 24, 2018 at the White House Medal of Honor ceremony, Slabinski was reunited for the first time with other Robert Ridge veterans in his SEAL Team, Rangers of the Quick Reaction Force, and MH-47 aircrews. Members of Gold Star families who lost loved ones on Robert’s Ridge also attended, including from the Chapman family.